Asia Pacific Summit: An opportunity to promote Nepal's tourism - Integration Through Media ....! Prakash Silwal and Bhisma Raj Ojha, KATHMANDU: The ‘Asia Pacific Summit-2018’, the first-ever to be held in Nepal, is expected to also help promote ‘Nepal Tourism Year-2020’. The summit under the theme ‘Addressing critical challenges of our time; interdependence, mutual prosperity and universal values’ is taking place in Kathmandu from November 30 to December 3. In course of attending the summit, Myanmar’s State Councilor Aang San Suu Kyi and Cambodian Prime Minister Hun Sen have already arrived Kathmandu and are busy holding bilateral meetings and attending other programmes. Likewise, President of Tuvalu Lakoba Taela Italeni has also arrived Kathmandu this afternoon. President of Nauru Baron Waqa and Samoa’s Head of the State Afioga Tuimalealiifano Vaaletoa Sualauvi II are also arriving Kathmandu on Friday. Considering the level of dignitaries taking part in the event, the government has made stringent and up-to-day security arrangement for the summit. According to summit assistant coordinator Eknath Dhakal, the government has arranged transportation of the VVIPs and VIPs while other arrangement has been managed by the organizing committee itself. 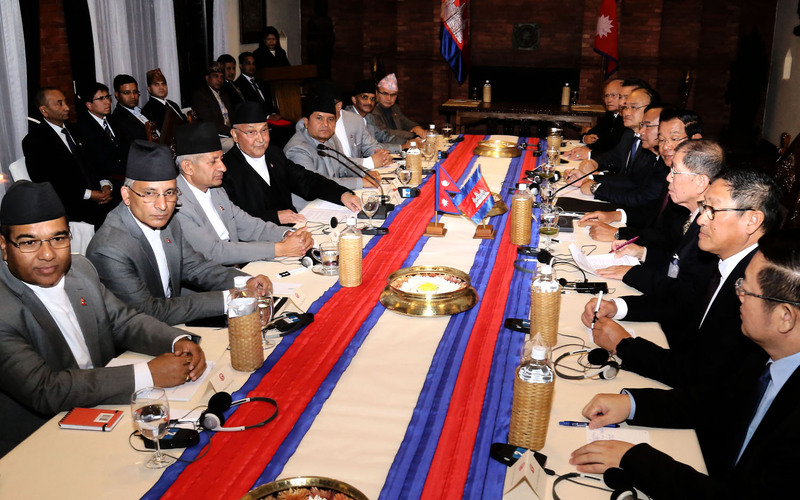 He added that the summit has stressed on the government’s motto of ‘Prosperous Nepal: Happy Nepali.’ Former Prime Minister and CPN senior leader Madhav Kumar Nepal is the coordinator of the summit.